Make what you’ve just learned work for you! Okay. The conference was great. Her workshop was stimulating. His presentation was mind-blowing. But what did you really learn? We recently attended the Australian Human Resources Institute conference for a professional and personal boost. Although it is likely you did not attend this conference or listen to this keynote, it is likely you will have attended a workshop, read a book, or watched a video on Youtube recently. Right? But how do you take what you’ve learned from opportunities like this and make them real in your world? We suggest using a pathway known as the TetraPath of Learning will make a big difference. We demonstrate this below in a 5-minute read. (Choose to explore the links and allow yourself 15 minutes). 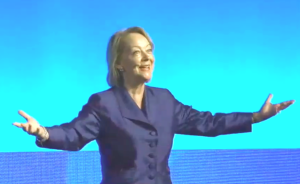 We take a look at Lynda Gratton’s keynote on The 100-year life—and explore its impact. For a quick insight into the findings here’s a short video from the London Business School. 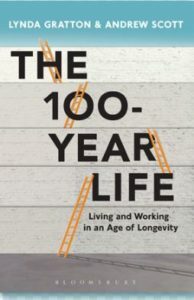 Note: The 100 Year Life was shortlisted on September 9th for the Financial Times book of the year. Why did this presentation matter to me? I’d be happy to live till 100—so I was intrigued and curious. Having a job I love, and now being in my mid 50’s I find it hard to imagine a traditional retirement. I was looking to learn ways to combine my interests, extend my love of learning, and think about ways to retain some income. How can I enjoy life, remain healthy and afford to be 100 years old? Lynda’s keynote engaged me from the get-go, her style, content, and value was excellent. I rushed to the book signing and picked up one of the last copies for sale at the conference. I missed Lynda Gratton’s live presentation. And while I did catch some snippets from the Exhibition space, my chance to really absorb her powerful message came from AHRI’s website the post-conference catch-up opportunity provided for delegates. I have a particular interest in work—people in the wrong job, re-shaping your job to match your passion and the dramatic changes in how work actually works in this decade. (Click here for my e-book and worksheets.) So for me, this presentation was probably the most important one from all the conference had lined up. How did we make the gems and insights work for us? What did I experience; action or observe? Many people born today will live to be over 100 years old. Most of us will live longer than our parents. The dramatic impact on how increasing longevity and automation has had on how we live and work. The sometimes unexpected results from technological interventions. The next steps we need to take are not informed by the structure and shape of current jobs, careers, and professions. What we call the workplace and workforce will never be the same. The impact on people, economics and politics are massive. The jobs that will exist are likely to involve people and relationships. Take the 100-year life diagnostic (5 mins) like we did, and learn more. What, on reflection, is the real significance here? What conversations and thinking have followed? The ‘life stories’ of Jack (born in 1945, Jimmy born in 1971 and Jane born in 1998), bring the research to life. Our thinking about life and work as separate worlds has to change. Where else does what I now understand apply? How does it compare to what I already know? Where else might it add insight? We need to see ourselves as ‘portable contributors’ who respond to the rapidly changing needs of the world around them (especially those under 35). Some jobs are heading for extinction. So what can we do to ‘futureproof’ ourselves? Managers in current workplaces need to reframe the idea of succession planning— and know that automation will be part of that mix. People will want to be in workplaces where there is a commitment to enable professional and personal growth. Engagement and productivity will follow. Educational institutions have a responsibility to equip their learners with transferable skill sets, rather than push them towards the pigeon-holes of specific jobs and careers. Transformational assets — love that term! What I already know about increasing self-knowledge and my ability reflect deeply in order to change is valuable. It can be built on further to extend thinking and capabilities. If I took this into the future – what might it change? What might a different future look like? How can we respond to the opportunities? This is exciting and also scary stuff. Not everyone will see the changes ahead in a positive light. Isn’t that always the case with change? Creating a vision of a world of possibilities, rather than one of closed doors, is important. This work led us to consider important and exciting reframes. How far can you shift your mindset about work, retirement, ageing, money, learning and friendships? Who else needs to be inspired by Lynda Gratton’s research and insights? For us, using the TetraPath of Learning as a way to embed learning has extended the value of this conference session massively. The diagram and key questions above will guide you. You’ll find your own thinking is extended and the application of this new knowledge becomes more real in your context. We’d love to hear your comments – about this or any other session that’s boosted your learning and insights. Learn more about the TetraPath of Learning and unlock a deeper understanding of self and others with our new eBook. It will enrich your understanding of the power of positive communication from a new and refreshing perspective. Available for purchase from Amazon. Here are some organisations using TetraMap and our case studies.